Set a casual and fresh tone with our Coast to Coast Orchard White Rub Set. Delightfully detailed with a classic plank style top, artfully scrolled legs and cross bars, with matching chairs, benches and occasional tables available to complete the look. Durable pine wood construction used throughout to ensure longevity. 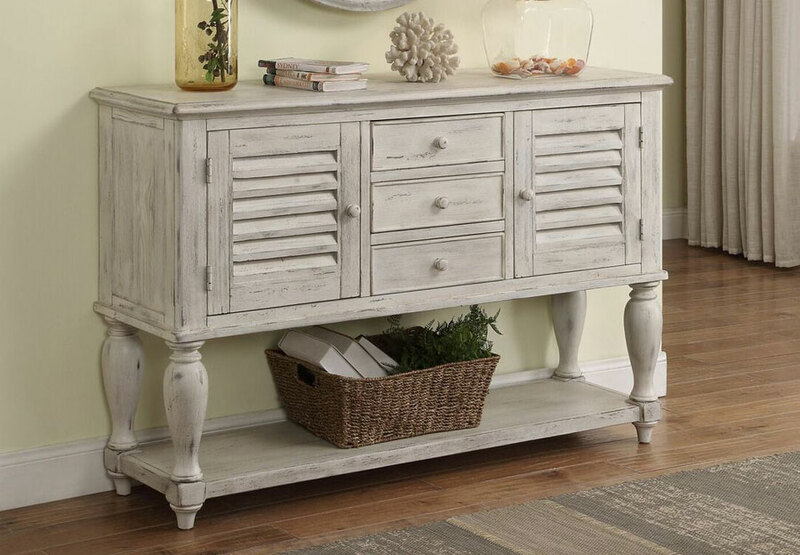 The harp-inspired trestle bases and weathered rub add dimension, warmth and a lyrical flow to any room.